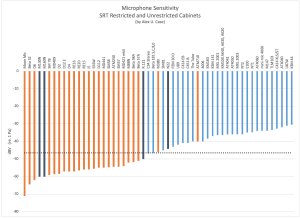 Q1: Professor Case, what is the least sensitive microphone, needing the most gain from a Microphone Preamplifier? 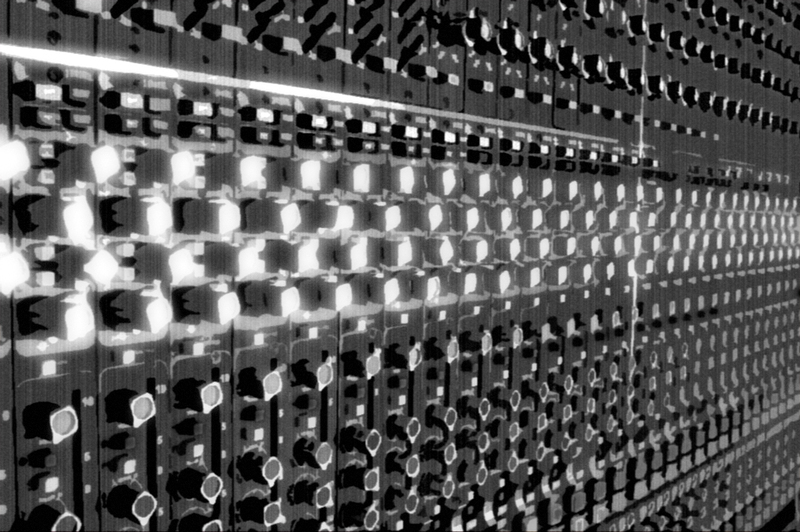 Q2: And, what is the hottest microphone that might still clip the preamp, even with a pad? 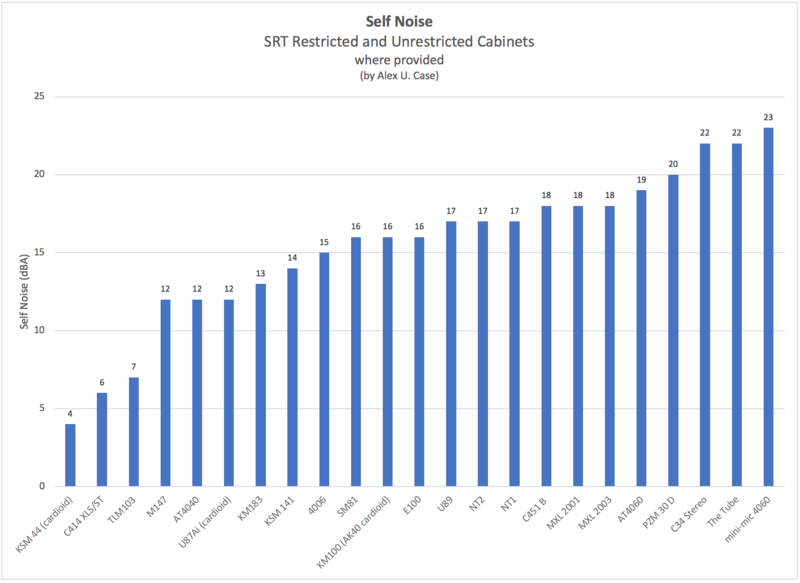 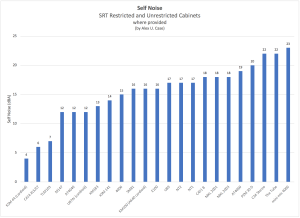 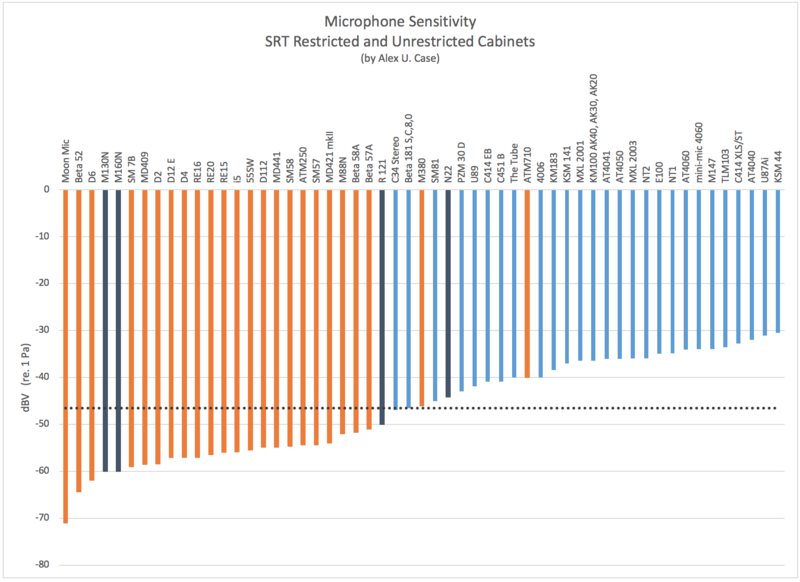 A: The Studio Documents/References section now has this comparison of the relative Sensitivities of all of the microphones in both the Restricted and Unrestricted Cabinets. 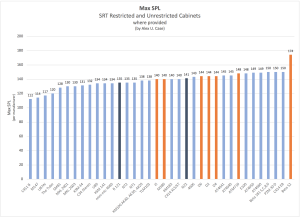 This makes clear the 20 to 30 dB of additional gain a low sensitivity microphone might need, and the unsuitability of some microphones for distant placements and/or quiet instruments. 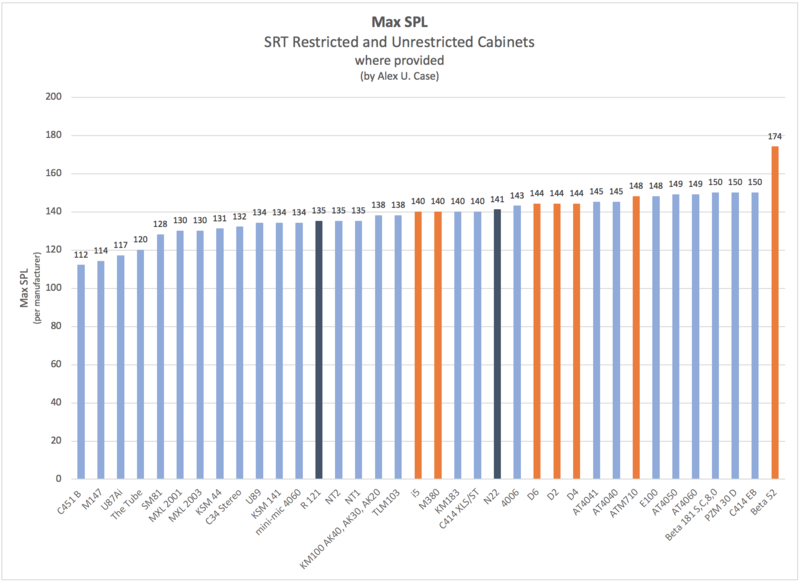 While we’re at it, here is the Max SPL for each microphone.